Our dentists can restore a missing tooth with a replacement that both looks and functions like a natural tooth. When you visit Dental Solutions of Clinton for dental implants our dentists will provide comfortable care so you can feel relaxed during this procedure that will restore your smile. Visit our office to see if you are eligible to receive a dental implant. Replacing a missing tooth can restore your smile to optimal health, function, and appearance. A dental implant is a great option for restoring your smile because the implant is designed to look, function, and feel just like your natural teeth, and with proper care, it can last a lifetime. 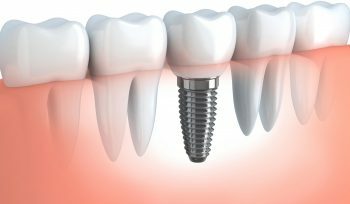 For more information about the benefits of implant dentistry, and to schedule your implant consultation, please call (601) 925-5163.